The CW Nancy Drew pilot apparently is called "The Haunting of Nancy Drew"
The CW didn’t get the chilling adventures of Sabrina, but maybe they will get the haunting of Nancy Drew. 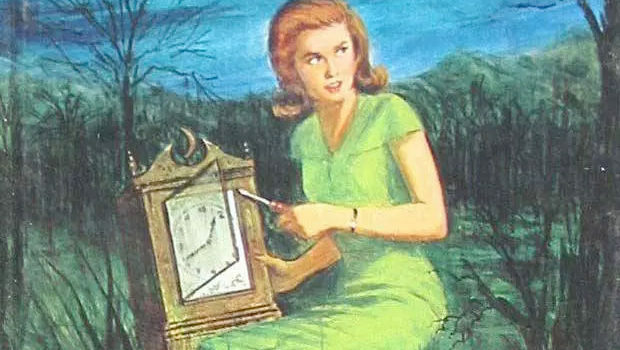 A purported title for The CW’s Nancy Drew pilot originating on Vancouver production charts lists the actual title of the series as The Haunting of Nancy Drew — could the sleuth be also dealing with the supernatural? The CW pilot has Noga Landau (The Magicians) scripting and Melinda Hsu Taylor (The Vampire Diaries) serving as showrunner, and the show follows Nancy Drew (newcomer Kennedy McMann), an 18-year-old small town girl just out of high school who dreams of starting college away from her hometown. However, a family tragedy gets in the way of her move, and soon Nancy rekindles her love of detective work and discovers secrets that will shake the fabric of her town. Secrets that may include hauntings? The Haunting of Nancy Drew — if it is indeed called that — will be filming between March 25-April 9 in Vancouver. Leah Lewis and Tunji Kasim also star in the pilot which will be directed by Supergirl’s Larry Teng.